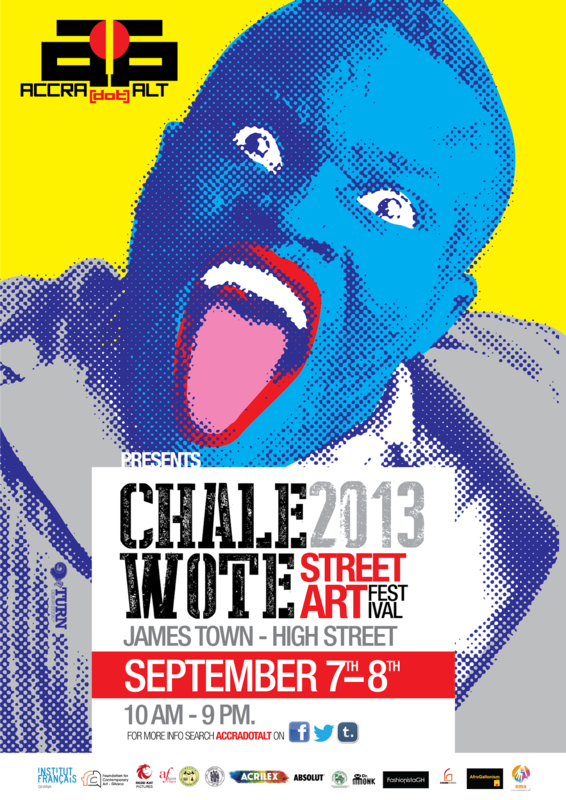 It is time for Accra [dot] Alt's Chale Wote Street Art Festival once again. This will be the third annual edition and my second. Last year was great even though I missed the performance by the men with the blue faces which from all indications and stories told was amazing. 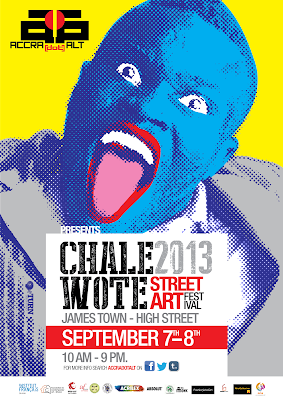 And as if to tease me, they put of the blue faces on this year's poster. LOL. I've been following Accra [dot] Alt closely on social media and I must say I'm excited very much excited about all the activities I see being planned for this year's festival and can't wait for Saturday and Sunday. Whenever I happen to mention the festival to folk who I think might like to check it out, they ask me questions about the event; some of which I cannot get good answers to. This week however, Accra [dot] Alt folk have made it simple and easier for me to do this explanation. Here's a Q&A about the festival and the schedule for this year. You can't afford not to be part of this groundbreaking festival that I see becoming Accra's biggest event in a few years. See you in Jamestown.